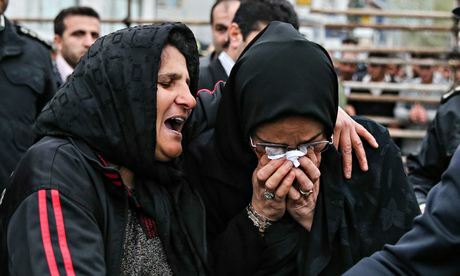 اما چه رخداد، اينکه در اعدام های خيابانی در رژيم اسلامی که بالاترين اعدام ها را پس از کشور چين دارد بسيار، بسيار نادر است. مادر مقتول به اعدامی نزديک شد و سيلی محمکمی به او زد و تصميم گرفت اورا نجات بدهد. پدر مقتول طناب داررا از گردن اعدامی برداشت وزندگی اورا نجات داد. 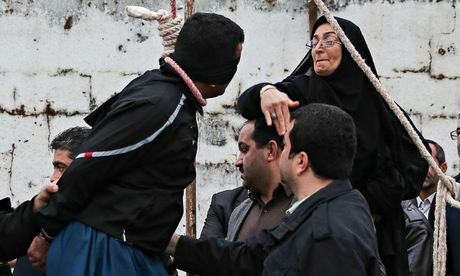 Islamic Regime is particularly criticised for its public executions, which have attracted children among the crowds in the past. 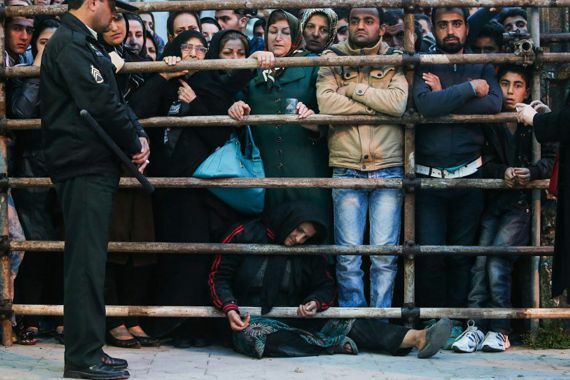 Iranian photographers are often allowed to document them. 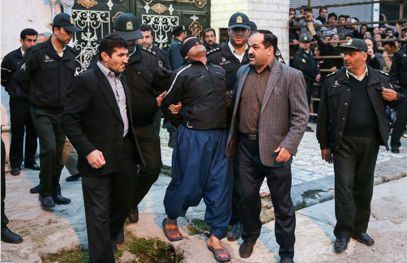 The convict, identified only by his first name Jamshid, was found guilty of throwing acid on a girl named Shirin in October last year. The victim lost her eyes and one of her ears in the incident. 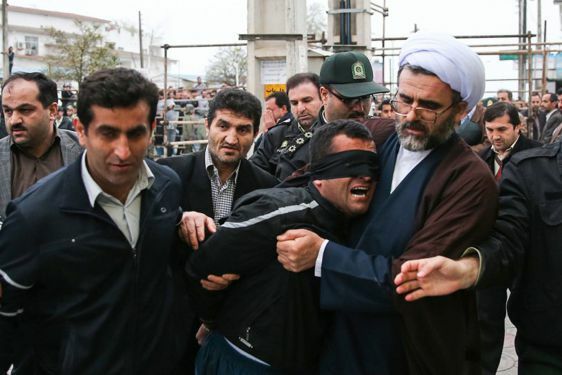 The Islamic Republic of Iran has publicly defended such harsh punishments often prompting severe condemnation from rights groups. 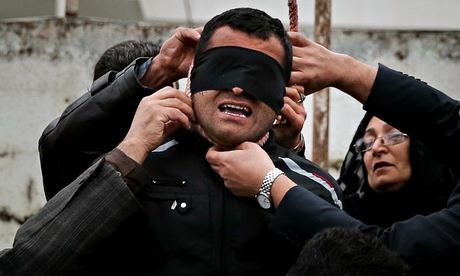 According to a judicial law, chiefly based on the principles of Islam, in Iran chopping off of condemned convicts' limbs and removal of their eyes are sanctioned and are being practiced. 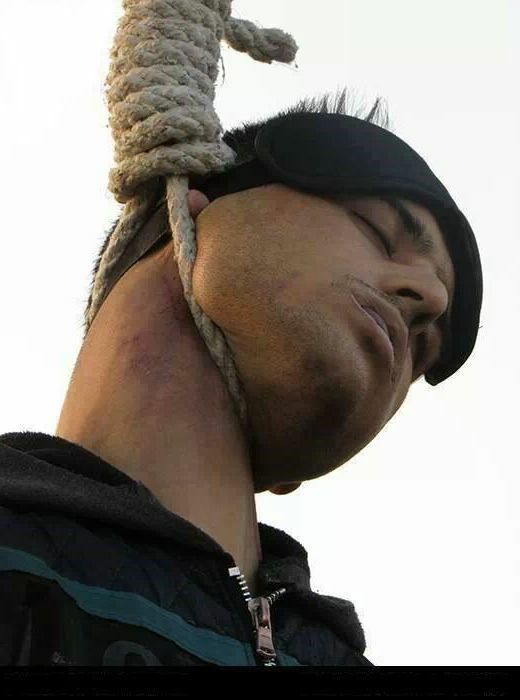 Despite the takeover by moderate cleric president Hassan Rouhani, it is reported there have also been frequent public executions in Iran.